Since the days of conquistador Hernan Cortes, rumors have circulated about an ancient White City of immense wealth hidden in the Honduran interior. Indigenous tribes spoke of ancestors who had fled there to escape the Spanish, warning that anyone who disturbs this sacred city will fall ill and die. 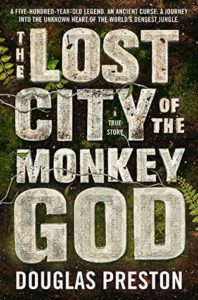 In THE LOST CITY OF THE MONKEY GOD: A TRUE STORY Douglas Preston brings us the almost unbelievable, danger-filled narrative about the incredible discovery of the lost city and the life-threatening events that followed when Preston, along with a team of scientists ventured into the jungle on a pioneering journey filled with personal danger, venomous snakes, lethal pathogens and more. What happened to Preston on his return to civilization is even more harrowing than his trip into the rain forest. Preston is also the co-author with Lincoln Child of the famed series of novels featuring FBI agent Pendergast. 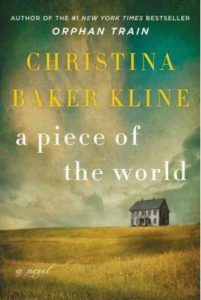 Writer Christina Baker Kline is best known for her beloved 2013 novel ORPHAN TRAIN. 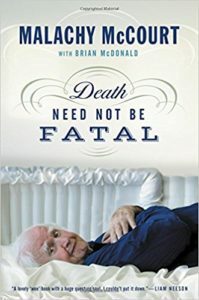 With more than three million copies in print, it has been published in 40 countries, appeared on the New York Times bestseller list for more than two years — five weeks at #1 new novel. Now she comes to us with the haunting, evocative novel A PIECE OF THE WORLD in which she turns her attention, as she did in ORPHAN TRAIN, to another little-known part of America’s history: the story of Christina Olson, the complex woman and real-life muse Andrew Wyeth portrayed in his 1948 masterpiece Christina’s World. Adventure, art, books, authors, archaeology, there’s something for everyone on The Halli Casser-Jayne Show, Wednesday, March 8. 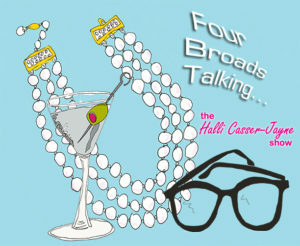 The new podcast will be posted 3 pm ET at Halli Casser-Jayne dot com. When he was a mere-25-year-old UPI photographer, David Hume Kennerly won the 1972 Pulitzer Prize for his photos of the Vietnam War and the Ali-Frazier Fight, one of the youngest people to ever receive that honor. Two years later he was appointed President Gerald R. Ford’s personal White House photographer. 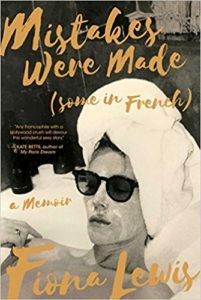 Wednesday, January 28, 3 pm ET, the iconic imagemaker will join Halli at her table on The Halli Casser-Jayne Show for an intimate conversation. 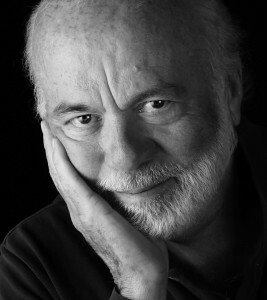 Named “One of the Most 100 Most Important People in Photography” by American Photo Magazine, Kennerly was a contributing editor for Newsweek, and a contributing photographer for Time and Life magazines. He has published several books of his work, SHOOTER, PHOTO OP, SEINOFF: THE FINAL DAYS OF SEINFELD, PHOTO DU JOUR, and most recently, EXTRAORDINARY CIRCUMSTANCES: THE PRESIDENCY OF GERALD R. FORD. 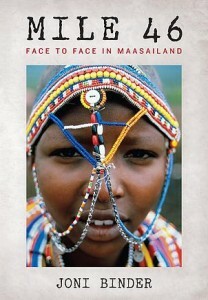 He is a producer and one of the principle photographers OF BARACK OBAMA: THE OFFICIAL INAUGURAL BOOK. 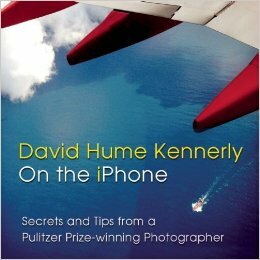 His latest book is David Hume Kennerly On the iPhone. He recently produced “The Presidents’ Gatekeepers,” a four-hour documentary about White House chiefs of staff that ran on The Discovery Channel. Kennerly serves on the Board of Trustees of the Gerald R. Ford Foundation, and the Atlanta Board of Visitors of the Savannah College of Art and Design (SCAD). His archive is housed at the Center for American History at the University of Texas, Austin. 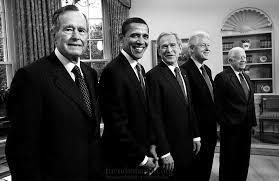 Pulitzer Prize winning photographer David Hume Kennerly for the hour on The Halli Casser-Jayne Show. Let’s talk Wednesday, January 28, 3 pm ET. To listen and for more information visit Halli Casser-Jayne dot com. 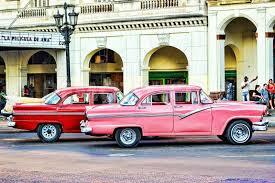 Travel with The Halli Casser-Jayne Show, Wednesday, October 29, 3 pm ET when Halli takes you on a tour of Cuba. Joining Halli at her table are photography collector, author of CUBAN THEN Ramiro A. Fernandez; Cecilia M. Fernandez, author LEAVING LITTLE HAVANA; food blogger and author of THE CUBAN TABLE Ana Sophia Pelaez; writer, photographer, dissident and author of CUBA IN SPLINTERS, Orlando Luis Pardo Lazo; and Caribbean design expert and historian and author of HAVANA MODERN Michael Connors. Ramiro A. Fernandez’s CUBA THEN: RARE AND CLASSIC IMAGES FROM THE RAMIRO A. FERNANDEZ COLLECTION offers a celebration of the intensely colorful culture that was the pre-Castro Cuba, a dynamic collage of images, experiences and memories that presents the glamour and the grit of the island’s tumultuous history. 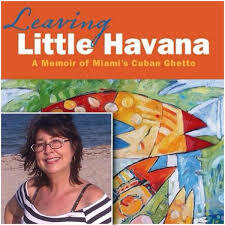 Cecilia M. Fernandez tells the story of growing up a Cuban refugee in her heart wrenching memoir LEAVING LITTLE HAVANA: A MEMOIR OF MIAMI’S CUBAN GHETTO. Ana Sophia Pelaez grew up in a famous Cuban family, was raised in Miami and transplanted to New York. Her blog Hungry Sophia catapulted her to culinary fame. 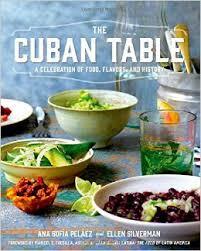 With photographer Ellen Silverman, her new book THE CUBAN TABLE is a visual as well a gastronomic pleasure. 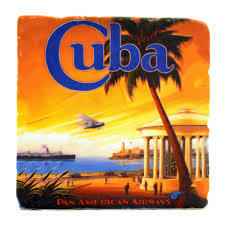 Orlando Luis Pardo Lazo was born and raised under the thumb of the Castro Regime in Havana, Cuba. After obtaining a degree in biochemistry, he began to voice his differences with the government founding VOCES, a dissident e-magazine. He won awards for his book BORING HOME, banned in Cuba. 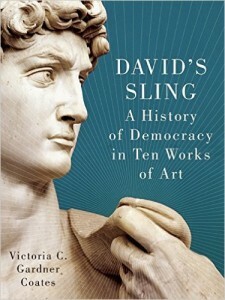 He currently is a Visiting Fellow at the International Writers Project, Department of Literary Arts, Brown University. 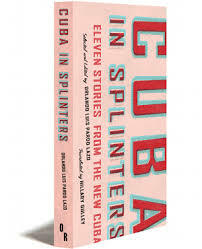 He is the editor of CUBA IN SPLINTERS, ELEVEN STORIES FROM THE NEW CUBA and the photographer of AVANDONED HAVANA. 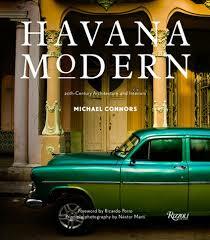 Caribbean design expert and historian Michael Connors takes readers on an unprecedented tour of some of the most architecturally significant private homes and buildings that remain in Cuba in his new book HAVANA MODERN: 20TH CENTURY ARCHITECTURE AND INTERIORS. 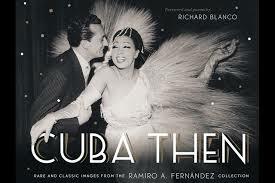 The politics, art and culture of Cuba, Wednesday, October 29, 3 pm ET on The Halli Casser-Jayne Show always bringing you Talk Radio for Fine Minds. Tune in live online at Halli Casser-Jayne dot com. Wow, it has been some week here on The Halli Casser-Jayne Show. We’re nearing the end of the month, and things always get hectic as we finalize our editorial calender for the following month. Wait until you hear some of the great shows we have lined up for you. 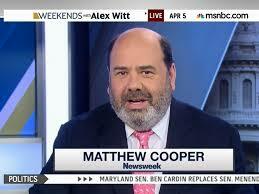 But sticking to this month, I ask you was that a rootin’ tootin’ show on GUNS this past Wednesday or what? We had a fabulous line-up of guests that included our old friend author Brad Parks, author and pundit Cliff Schecter, Omar Samaha, Legislative Assistant and grassroots Coordinator with the Coalition to Stop Gun Violence and whose sister Reema was killed in the Virginia Tech massacre in 2007, and Margie Omero, a public opinion pollster. I don’t have to tell you what a controversial subject gun legislation is. You can rest-assured that The Halli Casser-Jayne Show will always bring you the best in conversation no matter how divisive the subject. I hope you’ll take the time to listen to the entire show. You can listen on the website, but you can also download the show from the mobile site m.blogtalkradio.com, or from iTunes, where the download is free. And now for your weekend reading pleasure here are some of the stories I’m going to be checking out myself .